Audi is systematically building on its e-fuels strategy. Together with its partners Ineratec GmbH and Energiedienst Holding AG, the company has plans for a new pilot facility for the production of e-diesel in Laufenburg, in Canton Aargau (Switzerland). For the first time, the energy needed will be supplied from the renewable source of hydropower. The planned facility will have a capacity of around 400,000 litres (87,987 gallons) per year. For some years now, Audi has been conducting research into climate-friendly, CO2-based fuels such as e-gas, e-gasoline (petrol) or synthetically manufactured e-diesel fuel. The company is now taking the next step in e-diesel production. “At the project in Laufenburg, thanks to a new technology we are able to handle the production of e-diesel efficiently in compact units, making it more economical. The pilot facility offers scope for sector coupling, in other words combining the energy sectors power, heat and mobility, and makes it possible to store renewable energy,” explained Reiner Mangold, Head of Sustainable Product Development at AUDI AG. Audi e-diesel has the potential to make conventional combustion engines operate almost CO2-neutrally. To produce it, the power-to-liquid plant converts surplus hydropower into synthetic fuel. A chemical principle is applied: The green power generated on site in the hydroelectric power station produces hydrogen and oxygen from water by means of electrolysis. In the next step the hydrogen reacts with CO2, using an innovative and very compact microprocess technology. The CO2 can be obtained from the atmosphere or from biogenous waste gases and, as with all Audi e-fuels, is the only source of carbon. Long-chain hydrocarbon compounds are formed. In the final process step these are separated into the end products Audi e-diesel and also waxes, which are put to use in other areas of industry. There are plans to produce the first quantities of e-diesel in Laufenburg as early as next year. 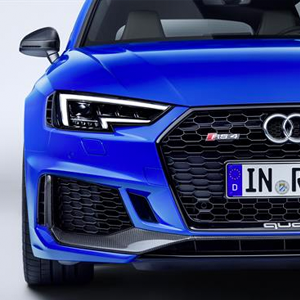 Audi and the project partner companies Ineratec and Energiedienst AG will submit the planning application for the facility in a few weeks’ time. Construction work is to begin in early 2018. This is now Audi’s second partnership in a pilot facility that operates according to the power-to-liquid principle. Audi has already been working together with the energy technology corporation sunfire in Dresden since 2014. There, sunfire is exploring the manufacturing of e-diesel using the above principle, but involving different technologies. The other Audi e-fuels projects include its own power-to-gas facility in Werlte, north Germany, which makes Audi e-gas – in other words synthetic methane – for the g-tron models A3, A4 and A5. The Ingolstadt carmaker is also researching the manufacture of e-gasoline (petrol) together with specialist partners.